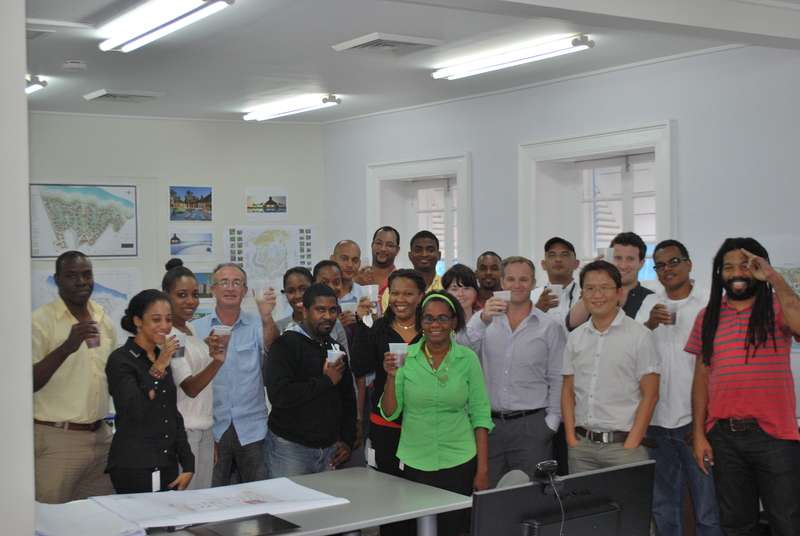 Iced tea and cupcakes were the order of the day on Thursday 10th January as the team at hdstudio (formerly Harlequin Developments) marked their first anniversary in their new offices in Christ Church, Barbados. 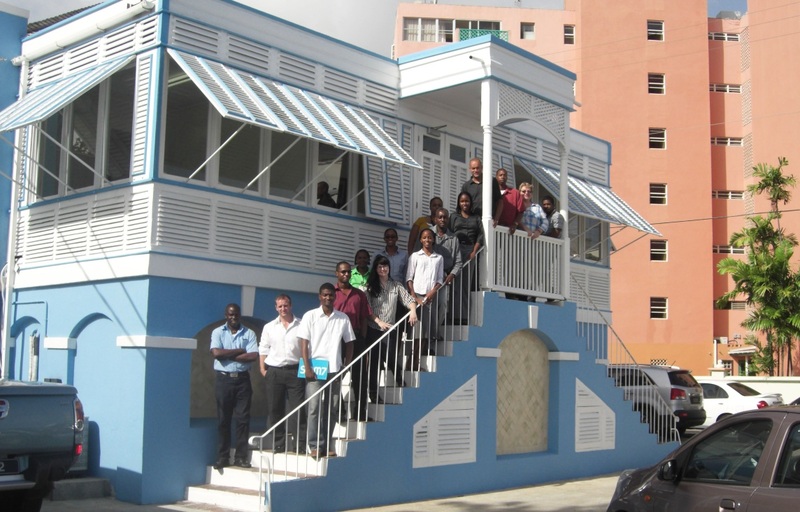 David Campion, sixth from the right in the image above, is the managing director of hdstudio, who are the designers and developers of Harlequin Hotels & Resorts’ luxury destinations across the Caribbean. In summer 2012, David took some time out from working on Harlequin’s projects to answer some questions about the company and its major part in the broader Harlequin brand. hdstudio is a rebranding of Harlequin Developments, which was formed in June 2010 as a development platform to safeguard the journey Harlequin’s hotels and resorts take from concept through planning, tender, construction and on to delivery. The rebranding has been embarked upon to more accurately capture the scope of the development platform, with an emphasis on the collaborative studio environment. What is hdstudio’s mission statement? 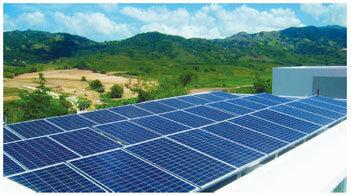 To set development standards throughout the Caribbean. Successfully deliver its portfolio of hotels and resorts in a cost-conscious, environmentally appropriate manner achieving high quality architecture, influenced by its location, and ultimately delivering luxury living for its investors and guests. How do you plan to deliver on this mission statement? 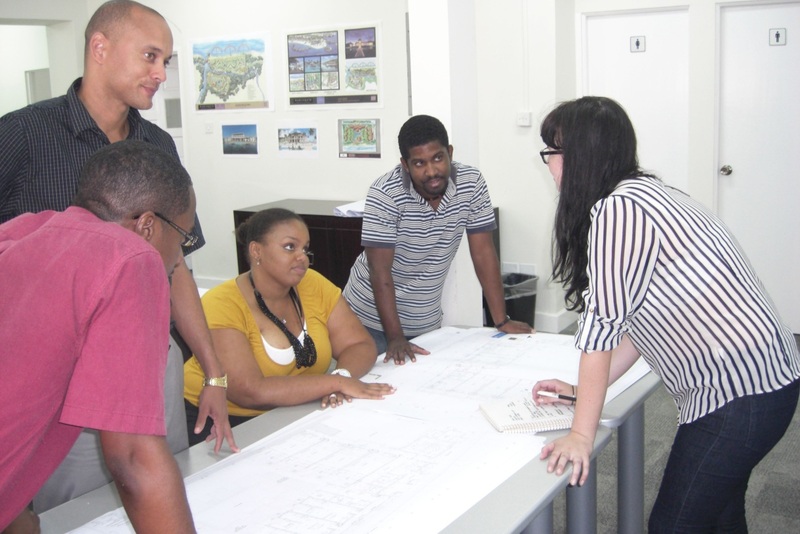 By employing industry experts to direct operations in-house from our Barbados headquarters, contracting a team of consultants with international experience for each project, and establishing direct contract arrangements with the industry through project and construction management structures. The design studio is the heart of the operation and key to encouraging successful collaboration from hdstudio’s teams and departments. We have a project leader assigned to each of our projects who coordinates our various departments to drive the progress of their project. Our dynamic and diverse teams are formed from 30 staff members of mixed disciplines who are located in-office and throughout our sites. They come from a variety of backgrounds, which promotes a melting pot of ideas and encourages innovation. A byproduct of this multifaceted diversity is constructive conflict as perspectives clash, which leads us to richer, more innovative, and more valuable results. What does the role of managing director for hd studio entail? I play the role of connector; a facilitator of collaboration, assembling a team of diverse talent, encouraging collaboration at all levels, and wielding influence rather than authority to move things forward as and when required. I have assembled a diverse team as I find such teams achieve better results, provided they are properly led. Bringing together professionals from different backgrounds, disciplines, cultures and generations and benefiting from all they have to offer is one of my main objectives. I encourage vigorous debate within teams but ensure this is followed with clear decisions and immediate actions through clear leadership structures and responsibilities, as only then can the final decision-making be an efficient process. What is hdstudio doing that’s different to other development companies? It’s a number of things, to be honest. The meticulous attention to detail throughout all stages of development and the high quality of the construction information, which is what ultimately determines the quality of the projects. The pursuit of low energy, sustainable development, which, as well as being an crucial ethical concern on Harlequin’s part, also simply makes sense in the Caribbean where energy prices are amongst the highest and there’s a good availability of solar energy and trade winds. Our expertise in building in hot, composite climates, particularly concerning countering the influence of heat and minimize the effects of humidity. It’s also the way we apply that expertise with thorough analysis for all areas of a sustainable design approach, including: renewable energy; ecological value; passive strategies; whole life cost; transport strategies; health and wellness assessment; and the use of sustainable materials. Last but not least, our corporate social responsibility. 95% of our subcontractors are local to the developments, creating a strong bond between our projects and the community, and we work closely with the governments to ensure we preserve the natural beauty of the environments we develop in. Engaging with the community is very important to us, so we regularly participate in outreach programmes and sponsor charities, schools and sports clubs. This entry was posted in blu St Lucia, Buccament Bay Resort, Harlequin Hotels & Resorts, Harlequin Property and tagged Barbados, Caribbean, Construction, Harlequin Developments, Harlequin Hotels and Resorts, Harlequin Property, hdstudio, Sustainable development.